Contact Val Sanford directly for a sale list. 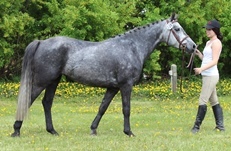 We have a variety of horses for sale, both under saddle, with show experience and some not yet started. 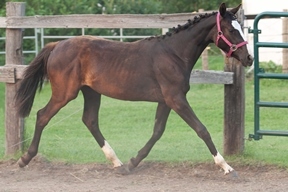 Freestyle has a German Dressage Index of 151 points, the highest in North America, and in the TOP 1% of all German Dressage stallions 17hh stallion, named PREMIUM in 1998 at the Westfalen stallion Licensing. At the 100 day Performance test at Prussendorf he was awarded a perfect 10 for character and a 9 for temperament. 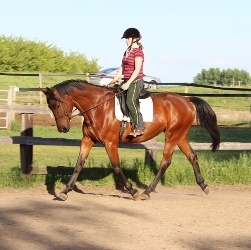 In dressage he proved to rank amongst the best of his year and received a 9.33 for ridebility. His total score was 132.55 points. 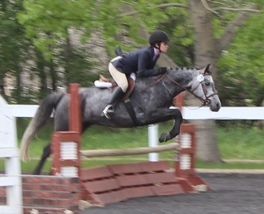 A truly versatile stallion Freestyle obtained a 7th place finish in jumping with an 8 for jumping ability. 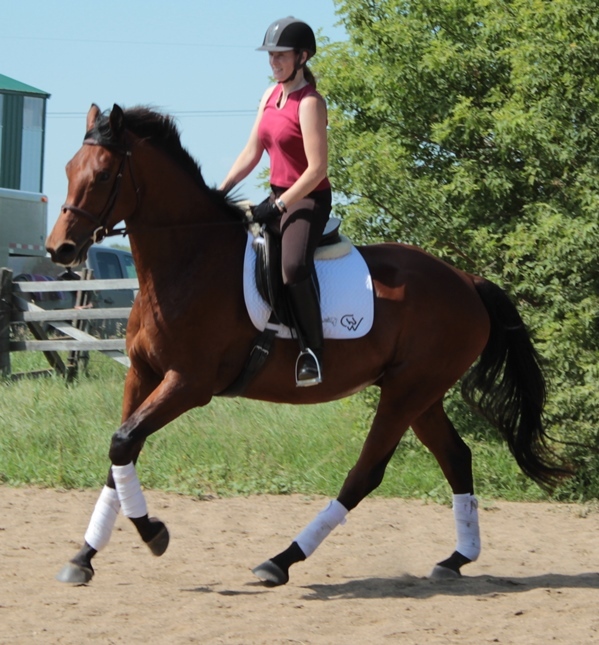 Freestyle was the overall winner of his performance test. 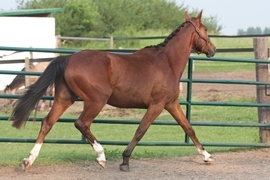 Freestyle is a class 1 stallion based on his results in his stallion performance test. 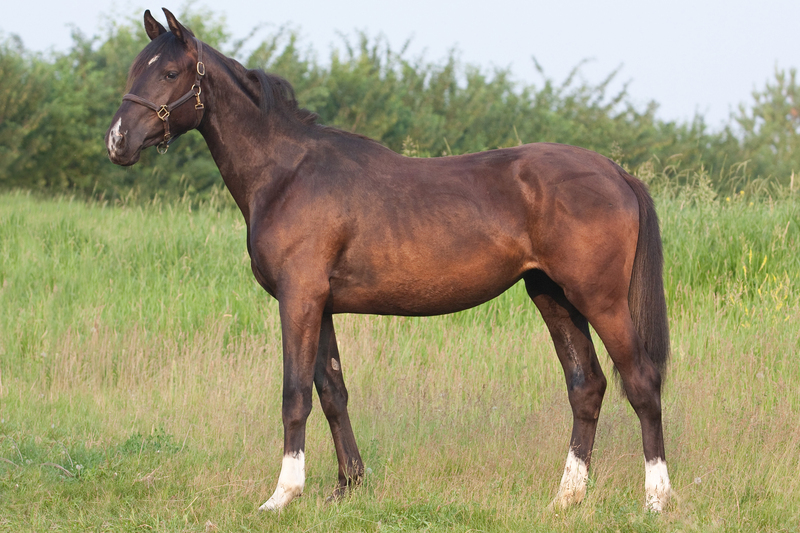 Freestyle is a son of the famous Rhinelander stallion Florestan I, who was champion of the Rhineland approvals in 1998, and in 1989 he was champion of his performance testing in Warendorf. Florestan I has produced famous stallions as Fidermark, Florencio, Faveur, Fleurop, Furst Heinrich, Florestan I has taken the top position in the FN breeding values for a number of years. 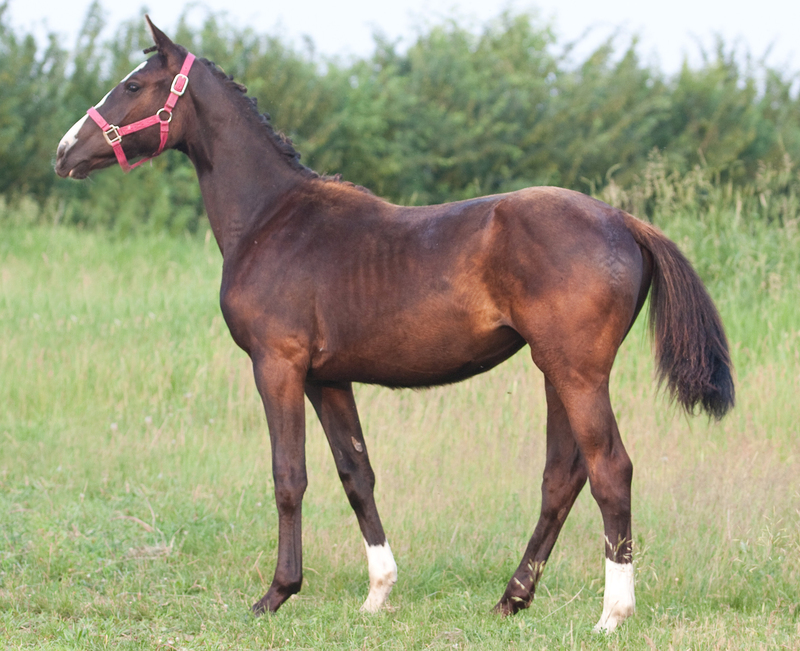 Florestan I is famous for producing performance horses with very high ridebility. 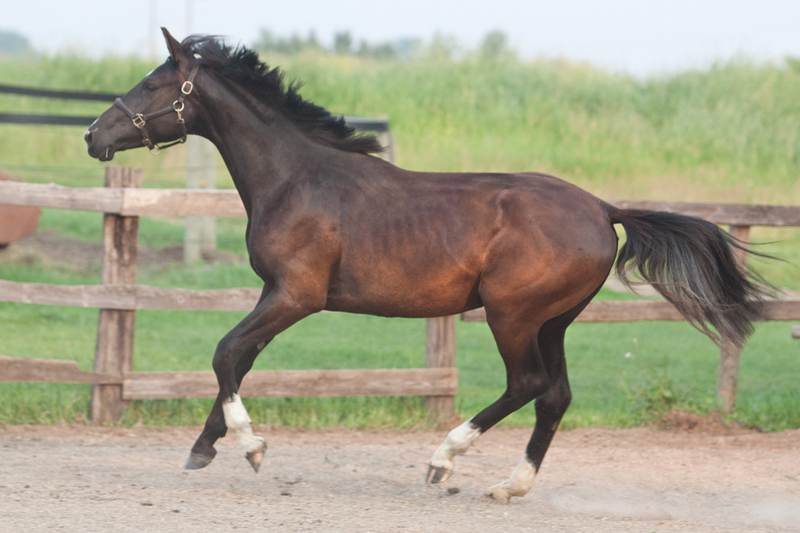 In 2004 two Florestan I sons won both the 5 and 6-year-old World Young Horse Dressage Championships in Verden.Freestyle himself is out of the famous mare line through Paloma. Paloma and her 4 sisters received the award of the “Best Family of Hessen” for 4 years in a row. Paloma has produced two approved stallions Freestyle and Flammengold, full brothers, and she received an 8.1 for her mare-test. 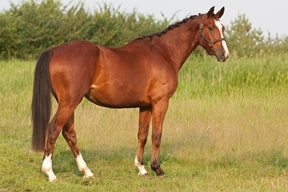 Her sister Patricia was in 1997 the best mare of Hessen. 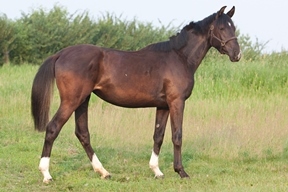 The second full-sister Pretoria was the best 3-year-old mare of Hessen in 1999 and also received a score of 8,50 for her mare-test. The youngest sister Primavera was 2nd at the mare show for 2 year olds at Asfeld. Grandmother, Geisha, is a full sister of the dam of the world famous stallion Romadour II, sire of the Olympic Gold Medallist Rembrandt with Nicole Uphoff. 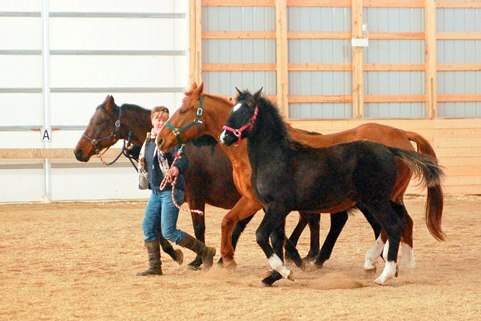 The dam-line of Freestyle shows four State Premium mares on a row, Paloma, Pirocshka, Poxi and Geisha. Banderas is the first approved son of the sensational European stallion Balou du Rouet, to stand in North America. 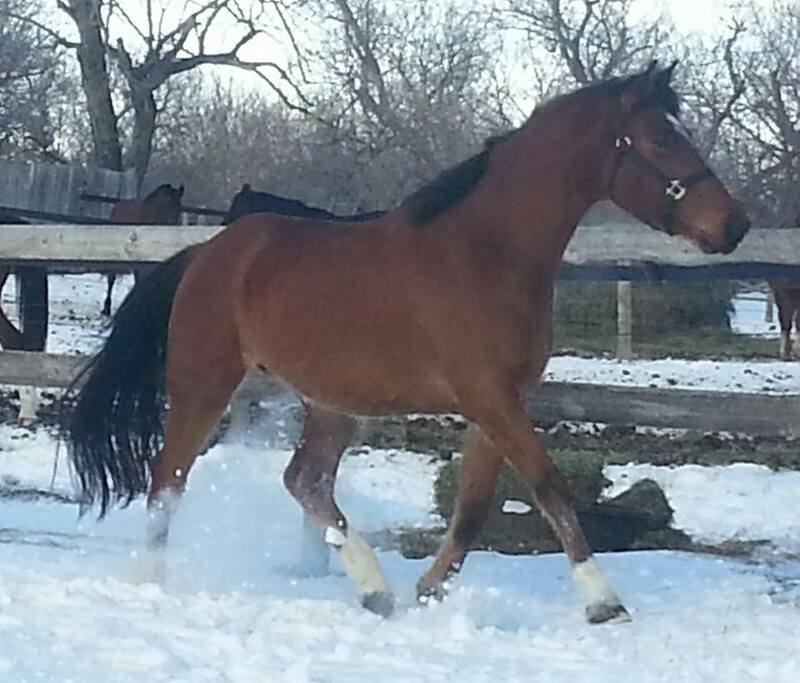 Banderas is a very typey athletic stallion, with a lovely expression, clearly stamped by in looks by his sire. Banderas has three very good athletic gaits, and shows a huge amount of jumping potential, he jumps in classic form, and show a lot of scope. He also has a very good temperament and good nature. Sire Balou du Rouet is highly sought after as a breeding stallion, he is very known for producing type, elastic movers, and his oldest offspring are showing his prepotency for first class jumping ability. Banderas comes from a very strong dam line through dam Grisette he combines some of the best bloodlines available. His dam sire is the legendary Grannus, one Germany’s greatest sires with over five million DM in earnings, he is also the sire a multiple international and Olympic jumpers, including Top Gun La Silla(Jan Tops), Grand Plaisir(Ludger Beerbaum), Grannusch(John Witaker), Burmah Grand Slam (Nick Skelton) and Imperial to name a few. Grannus is also the sire of over 60 approved stallions. Great Grand sire is the Elite international stallion Beach Boy. 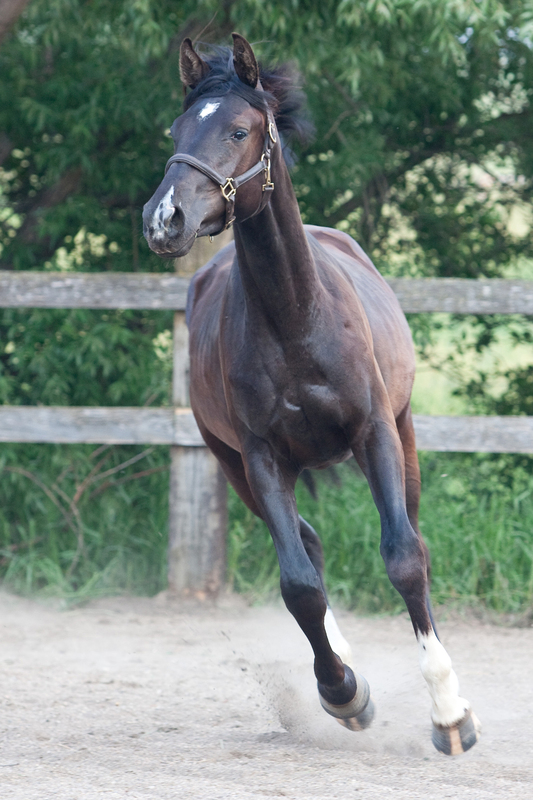 He has sired 8 graded sons who are already making a name for themselves and his own progeny includes the 1991 Oldenburg performance test champion Brandenburger, the international show jumper Beach Game and the international eventers Beach Star and Feldschwalbe. 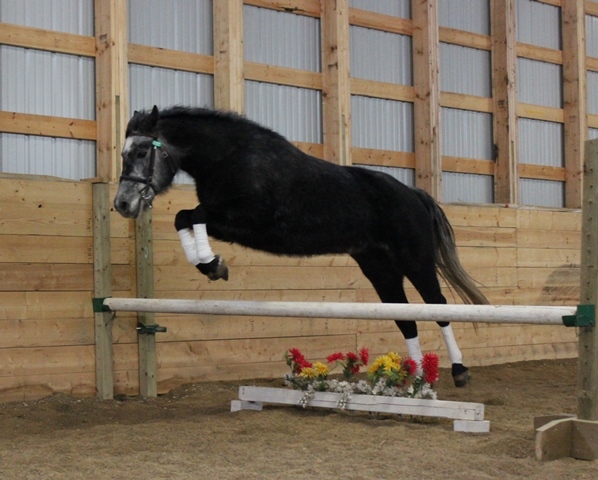 His eight approved sons and 239 competitive offspring have earned him a BlUP score of 141 for both jumping and gaits. Banderas successfully completed his 70 day test at Silver Creek Farm in 2010, Banderas finished 4th overall. Some of Banderas’ scores from the 70 day test Test Director scores Character “10”,Temperament “9” Willingness to work “9.50” constitution “9” ridability “8.5”, Free Jumping “9”, Stadium Jumping “9” cross country “8.5” “walk 9” trot “7.50” canter “8” Banderas has now become the first fully approved son of Balou du Rouet standing in North America, with lifetime breeding approvals. 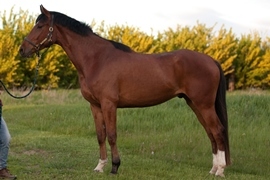 Century Hills Aedan Zodiak – Connemara Stallion: Century Hills Frederick McTeague x *Tathams Ballinanna Focusing on the dressage and hunter rings, Aedan is beginning his performance career where his exceptional movement and willing nature are evident. This comes as no surprise as Aedan has a strong performance pedigree. 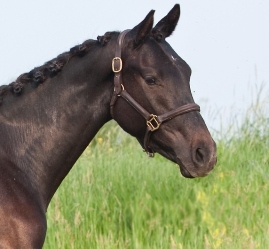 His dam, the imported English mare, *Tatham Ballinanna is by Bardsey Zodiac, an advanced level dressage stallion. His sire is out of Scottish import and premium mare, *Eastlands Glendearg and by the Elite Stallion, Maplehurst Michael MacDaire. Aedan has been inspected and approved, rating excellent bone, joints and temperament. 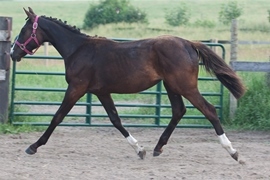 His purebred foals exhibit strong Connemara type and all his foals have correct limbs, remarkable movement and sensible people loving dispositions. 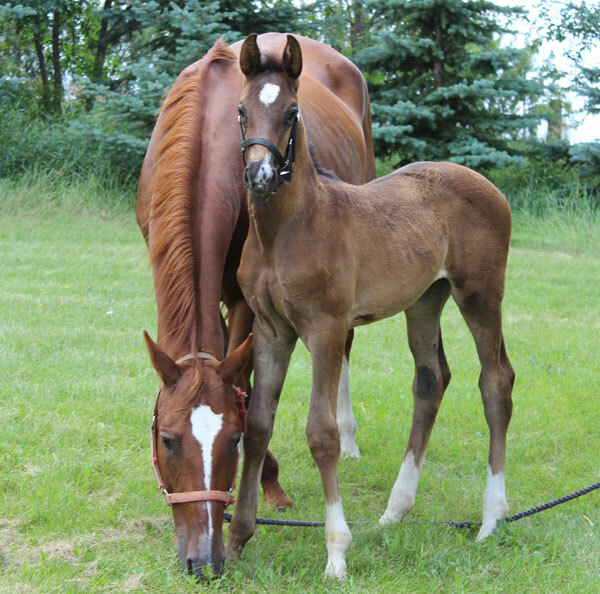 All offspring are eligible to be registered with the Canadian Connemara Pony Society.